As with all my blog posts, everything I make is a combination of curiosity and a refusal to pay for something I can do myself, and to spread my knowledge and resources so that you can get crafty with your kids or once your babies have gone to bed. Please note: stamp kits aren’t necessary but I don’t bode well with writing small, because it just looks messy and I prefer the stamp effect. I estimate you can muster up the entire lot for about £6-10, but that’s just an initial outlay and based on not having any of the above in. 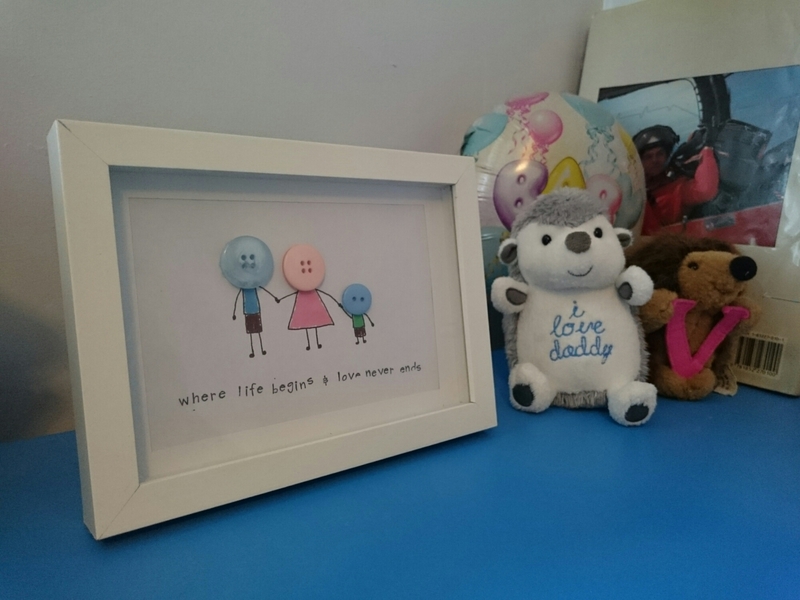 They make fab gifts and once you have the basics you can create these wonderful portraits for friends and family, for all sorts of occasions. 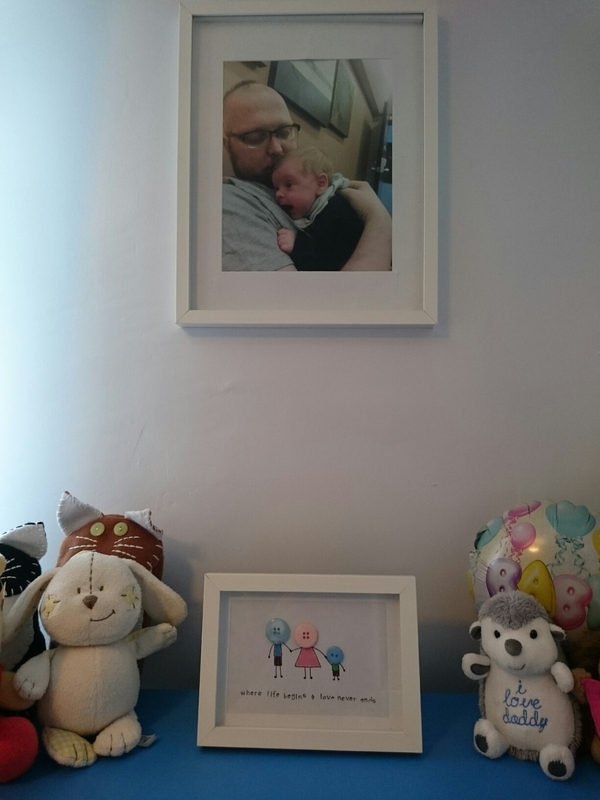 I decided to do mine for my son’s bedroom; he has a shelf with toys that his Dad bought, or were bought for his father before he passed (as well as some of my old toys and things I’ve made), and I wanted a ‘family portrait’ a little different to a photograph. This entry was posted in Uncategorized and tagged buttons, craft, family, frame, glue, homemade, love, photo, portrait, quotes by allinsonsmith. Bookmark the permalink. So cute! I love button crafts!